Exclusive Interview with Sterling Gates on "Adventures of Supergirl"
Sterling Gates participated in an exclusive interview with the Superman Homepage to discuss his new "Adventures of Supergirl" comic book series. The Superman Homepage would like to thank Sterling for agreeing to do this interview, and for fitting it into his busy schedule. Q: Welcome back to Supergirl! What was it like to be asked to come back to write the adventures of Supergirl after having written the main "Supergirl" comic book from 2008-2011? A: Thank you! Honestly, I'm ecstatic and extremely grateful to be working on this book. Writing Supergirl was one of my favorite jobs at DC all those years ago, and I'm so, so, SO excited to write Adventures of Supergirl. Q: Were you watching the "Supergirl" TV show before receiving this writing job? If so, what do you personally think of it? A: Well the show hadn't debuted yet when they asked if I'd be interested in writing the comic tie-in. DC Digital editorial and Supergirl's producers called me about the series late last spring. I was floored and frankly humbled that people remembered my work on the Girl of Steel fondly enough to reach out and ask if I'd be interested in writing new Supergirl stories. 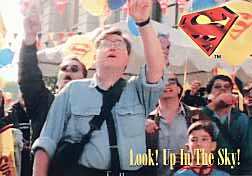 I saw the pilot at San Diego Comic-Con, then had a few meetings with DC and Andrew Kreisberg to talk through the story I was planning. I think I read through the first batch of episode scripts in late summer or early fall maybe, then started scripting the comic once we had the greenlight. I think it's a really unique take on Supergirl, one that the tv landscape was desperate for. Greg Berlanti, Ali Adler, and Andrew Kreisberg have done a magnificent job reimagining the character for the 21st century. 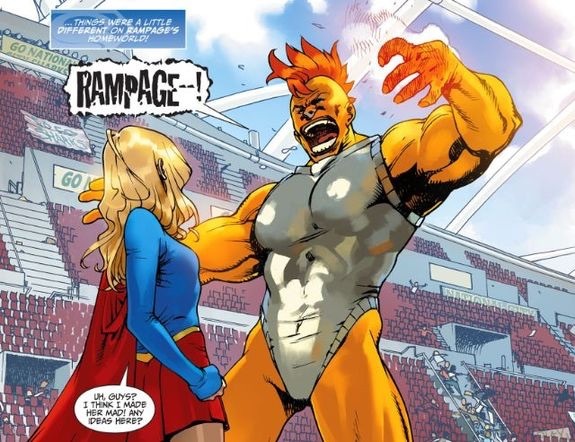 They've added new bits and pieces to the Supergirl mythos - I LOVE Alex and Astra, both brand new characters created for the show - while still respecting Supergirl's comic book roots, which is the best you can hope for in an adaptation. And Melissa Benoist is a pitch perfect Kara Zor-El. 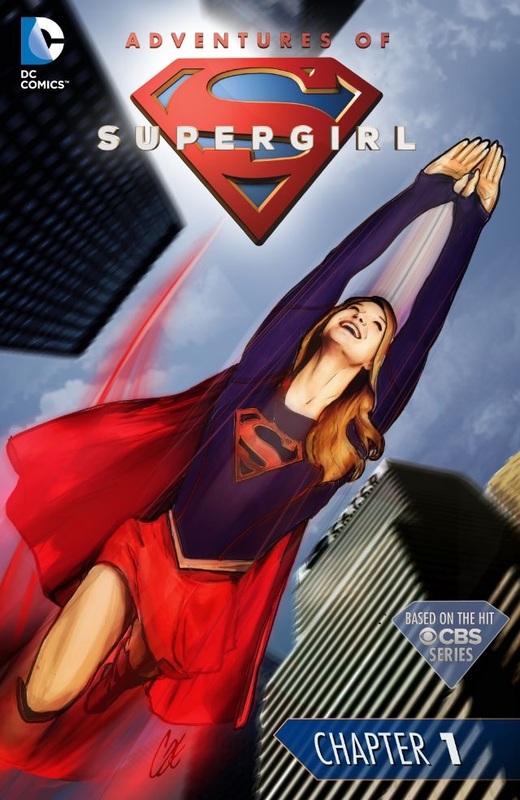 Q: What can fans of the TV series expect from the "Adventures of Supergirl" comic book series? A: Super-sized thrills, emotional chills, and massive spills, of course! [laughs] We're doing different types of stories than the show in a lot of ways, stories that the show might find challenging because of budgetary reasons or subject matter or structure. 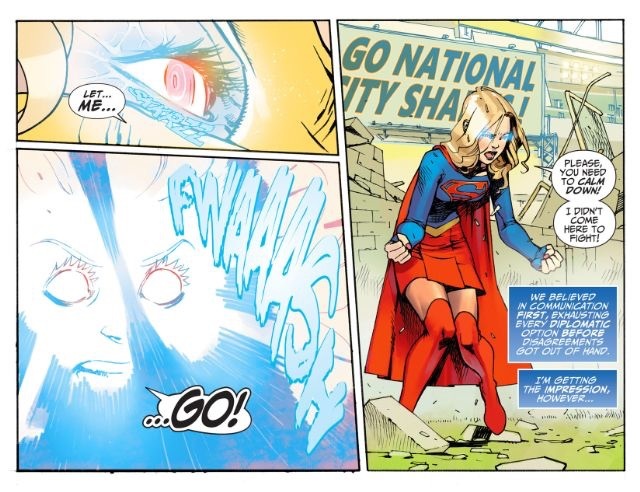 The majority of the Psi story takes place inside Supergirl's mind, for instance. We're using all of the characters you know and love, though. Alex Danvers, Winn Schott, Hank Henshaw, James Olsen, Cat Grant...they're all there. Q: As I understand it, "Adventures of Supergirl" will be telling stories from "between" the TV episodes. Has it been difficult to constrain your stories to fit within what's being told on TV? A: No, it hasn't been a problem at all. We take place early in season one, and we haven't been that worried about reflecting the bigger arcs of the show. We're our own story, set within the context of that world. There are little shout-outs to a couple episodes as the book moves along, but you don't have to watch the show to understand the comic. From the start, I wanted to make sure Adventures of Supergirl was a self-contained Supergirl story. Q: Has there been anything you've wanted to include in the books that the TV people told you you couldn't touch? Have they put any demands on you or have you been given a free reign? A: Nothing so far! I touch base with Andrew every once in awhile just to make sure everything we're doing lines up with what they're doing on the show, but we're mostly off on our own. Obviously, we're going to honor and respect everything the show sets up, but as I said, I wanted to be sure that even if you don't watch the show, you can pick up Adventures of Supergirl and completely understand it. Q: "Adventures of Supergirl" is a 13-part story. Would you like to see it extended past the 13 chapters planned? A: Absolutely. The world needs more Supergirl stories in it! This particular story was designed to only run across the 13 chapters, though, so it would be a matter of finding the right story to tell in the future and making sure it didn't step on any of the show's plans. Q: What characters NOT from the TV series can we expect to show up in your comic book run? Oh, we are also introducing a young woman named Rabiah Zinoman. She and Winn know each other from the Internet, and she'll play a vital role in the Super Crew's confrontation with Vril Dox. Q: What's it been like working with different artists for each chapter? Is that an added challenge working with so many different artists? A: It's been a little bit of a juggle but nothing too bad. I've got a wonderful editor named Kristy Quinn who helps me keep track of who's drawing what and when, and I can't thank her enough for her editing talents and patience. The great thing about working with all these different artists is that everyone adds their own tone to each leg of the story. Bengal pencils, inks, and colors these beautiful pages...I've been describing Chapters 1 - 3 as "Supergirl-by-way-of-Miyazaki." They're such graceful, beautiful pages. 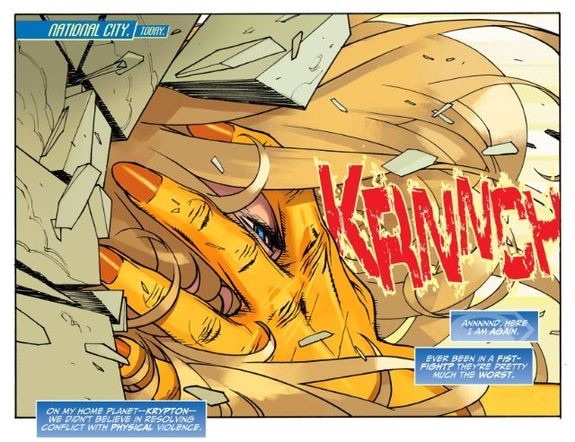 Jonboy Meyers has a more whimsical, lighter take on the material, and Emanuela Lupacchino has this incredible style that slams home the classic superheroic aspects of Kara. We also have Cat Staggs doing some great covers for us. Just beautiful work. I feel very, very fortunate to have these artists on this journey with me. Oh, and we've got a few more artists coming up that haven't been announced yet, too. More info on them soon! Q: Can you speak to decision not to print the digital chapters as monthly comic books? Are you disappointed those who don't read comic books digitally won't be able to read your work until the Trade Paperback comes out in August? A: We live in a world where digital comics are extremely accessible, even for a Luddite like me. If you want to read the material, it's out there and easy to find. That's one of the fantastic advantages of reading comics through your phone or tablet, they're instantly accessible within an app on your smartphone. I will say there are some really fantastic plans for the Adventures of Supergirl collection down the line. Fans who only read print comics will be able to get a trade in stores later this year. It'll be like waiting until a season of television is over, then binge-watching it all at once on Blu-Ray or Netflix! Read chapter #1 of the "Adventures of Supergirl" on your Kindle or using iBooks. This interview is Copyright © 2016 by Steven Younis. It is not to be reproduced in part or as a whole without the express permission of the author.